Singha beer is a Thai lager. It is the oldest and most popular beer in the country. Its production is traditional and offers an incomparable taste. It is perfect to accompany the flavors of the great Asian specialties. The abuse of alcohol is dangerous for health. Consume with moderation. 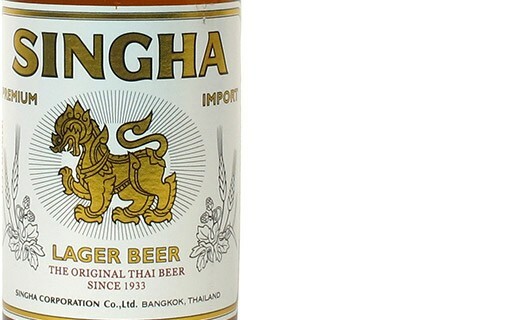 Singha Beer is the oldest beer (1933) in Thailand. It is now the best-selling beer in the country and is part of the traditional and cultural heritage. It is the outcome of a true manufacturing process expertise. Singha can be enjoyed in different countries of the world and knows a great success. Singha is a beer with a rich taste and hops flavor. Its taste is perfect, especially when accompanied by Asian culinary delights, but also as a refreshing drink for an aperitif.